The first western woman to be named a senior executive at Toyota has been arrested in Japan after allegedly importing oxycodone. Julie Hamp was arrested on Thursday for allegedly violating the Narcotics Control Act, according to the Tokyo Metropolitan Police. She was appointed Toyota's (TM) chief communications officer in April, and had previously worked for General Motors and PepsiCo. Hamp, an American, allegedly used an international parcel service to import oxycodone, which is categorized as a narcotic in Japan, according to police. The painkiller is legal in the U.S. with a prescription. The parcel arrived at Narita airport on June 11, according to police. Responding to Hamp's arrest, Toyota CEO Akio Toyoda said he was sorry that a senior executive had caused such controversy but said she was an "indispensable" colleague that the company believed in. "Through the investigation, I believe that we will learn she had no intent to violate the law," he said. He also expressed regret that Toyota had not done everything it could to prepare her relocation to Japan. 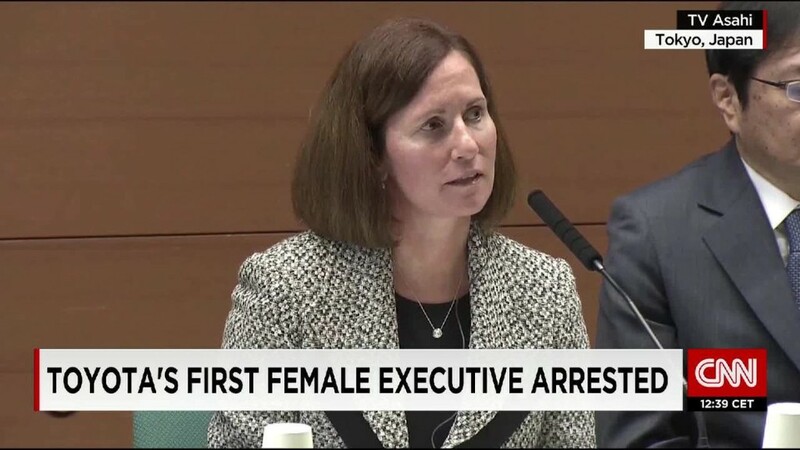 Toyota "has been made aware of Ms. Hamp's arrest but has no further facts in light of the ongoing investigation by the authorities," said Scott Vazin, a company spokesman. "We will continue to cooperate fully with the investigation," he said. "We are confident, however, that once the investigation is complete, it will be revealed that there was no intention on Ms. Hamp's part to violate any law." Hamp has told police she did not intend to import narcotics, according to Japanese media. -- CNN's Yoko Wakatsuki, Kevin Wang and Junko Ogura contributed reporting.